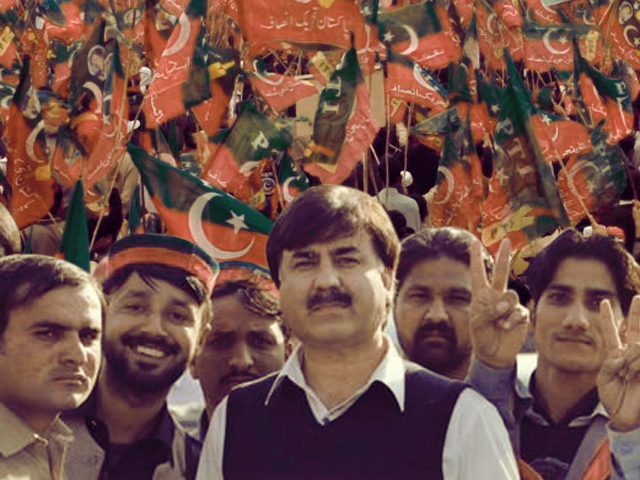 Pakistan Tehreek-e-Insaf’s Shaukat Yousufzai has won the Khyber Pakhtunkhwa assembly seat PK-23 Shangla in the re-election held on the seat on Monday. Yousufzai got 42,116 votes while his PML-N opponent Rashad Khan received 22,315 votes, according to unofficial result of all 134 polling stations. The PTI candidate had the support of the ANP and PPP while the PML-N candidate was backed by the MMA. A turnout of around 33 percent was recorded in the constituency where 200,555 (more than 0.2 million) voters are registered – 113,827 male and 86,728 female. The turnout of female voters could not be confirmed unofficially. If it remained less than 10%, re-polling will be held on the seat as per the election commission rules. The results of July 25 elections in the area were canceled by the commission because not enough women came to vote. Only 3,505 women out of 86,728 female voters had cast their vote.